This project might just be worth making a trip to a thrift store (or raiding your husband’s side of the closet– he’ll never notice.)! You will find the step-by-step instructions for this clever idea over at The Thrifty Quilter. I’m not much of a seamstress, but I think even I could tackle this project. 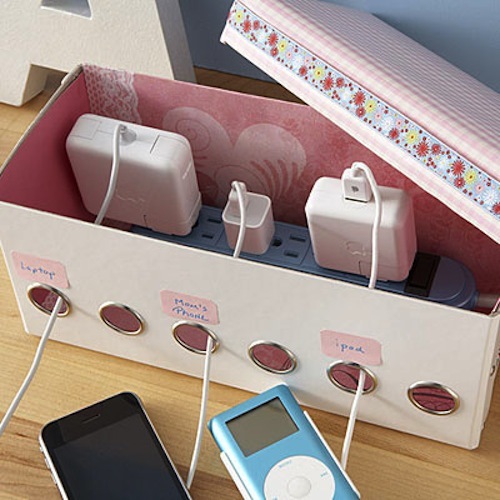 Keep those cords and power strips hidden with your very own charging station made out of a ribbon dispenser box. Use a utility knife to cut a hole for your power strip cord to pass through, label the holes, and decorate the box! See more details here. Put that collection of wine corks to good use! 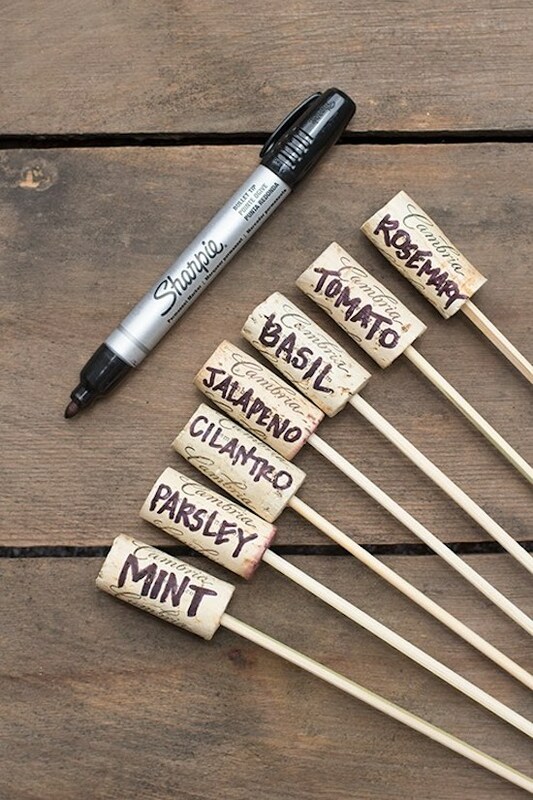 Label your garden herbs and other plants in style with these homemade wine cork garden markers from Cambria Wines. I know that there are a lot of wine cork crafts out there, but I love how effortless this one is. You can find the full instructions here.